Large events can incorporate an entire business – from C-suite to interns – perfect for creating unity and driving home a business ethos so every last worker is on the same page. 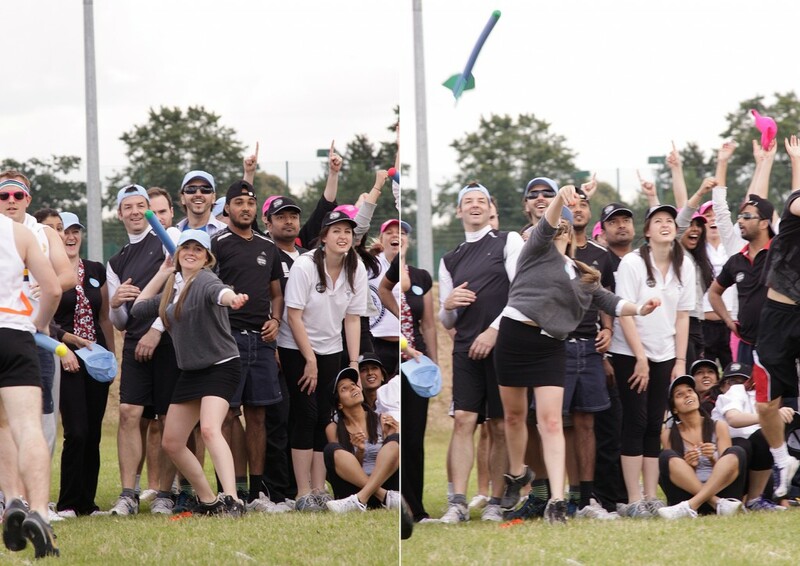 Team building for large teams can be ideal for businesses split across regions – making them perfect for events such as AGMs, conferences or a re-brand. Events for large teams tend to work out cheaper per head as compared to the same event for a small, intimate team of 30 or less. They can create consistency between disjointed departments and sites. Three absolute no nos for your large team building event 'The way you transformed our group of tired delegates into a highly charged team of 250 people was amazing - your team was amazing, thank you so much! 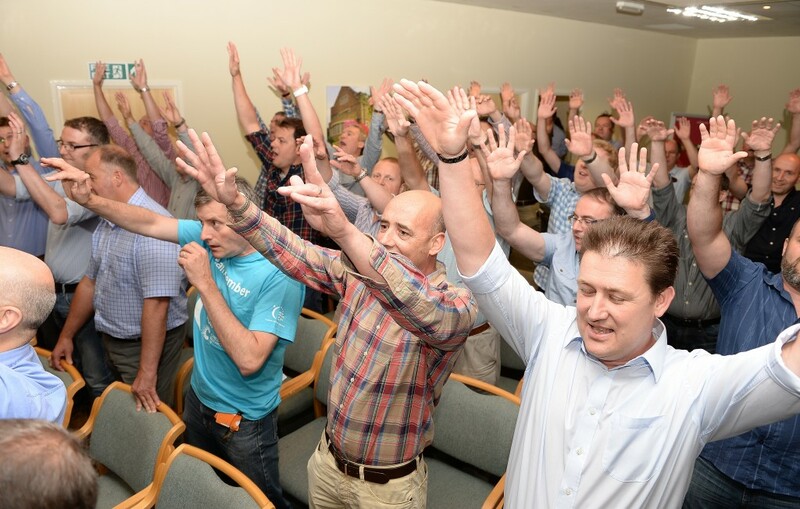 'That up there is what one of our many happy customers had to say about one of our large team building events, so it seems that you’d be in good company if you were to choose Accolade to handle your team building event. But if you’re going to go it alone, or use another company, we won’t hold it against you. We will, however, say that it pays to be aware of the following three all-too common mistakes when it comes to putting together a large team building event…Never schedule your event on your staff’s time OK, your team building event may be AMAZING – fun, filled with laughter, a real action-packed day out. But here’s the thing - no matter how good it is, your staff won’t thank you for having to do it on their own time.Thinking of your team building event as a one-off, one-shot deal Your team building event shouldn’t be a standalone activity – it should be chosen and designed to suit your business, your challenges and your teams. It should also be reinforced with an action plan when back in the office – and it should never (ever) be considered a one-time thing.Not choosing a professional events company Team building for large teams only ever pays off when organised by people who know what they’re doing. But we would say that, wouldn’t we? Here’s a little concrete proof… we’ve spent twenty years perfecting events – and we know that the success or failure of a team building event relies on tailoring the program to you and your commercial goals. Put simply, a generic, cutter cooker approach to team building just isn’t going to cut the mustard. Mulling over making the wise choice of choosing our team for your team? Then you’re probably wondering just what we’d personally recommend for large teams of over 50. Well, here’s a short and sweet taster. The Haka Perfect for? “Whakawhiti te ra, A upa ne ka up anem, Upane, Kaupane!” This event draws on the ancient war cries of aborigine tribes – safe to say that your team will be ready for anything come Monday morning- motivated and engaged as a ferocious, go-getting team. Group Size: 8 - 2000 Company Festival Perfect for? Grab your wellies and your workers – it’s party time. 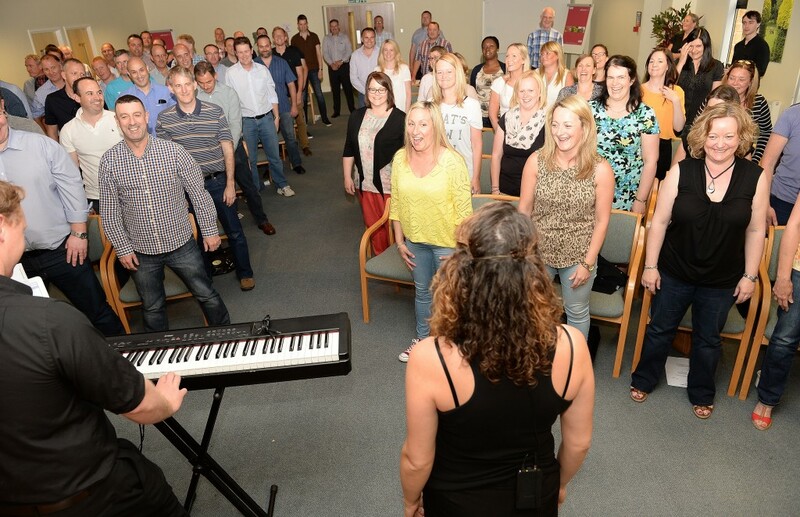 The Company Festival is perfect for celebrations, congratulations or annual get togethers. Group Size: 50 - 5000 Boomwhackers Perfect for? This massive musical event takes tunes to a whole new level – the more the most definitely better. 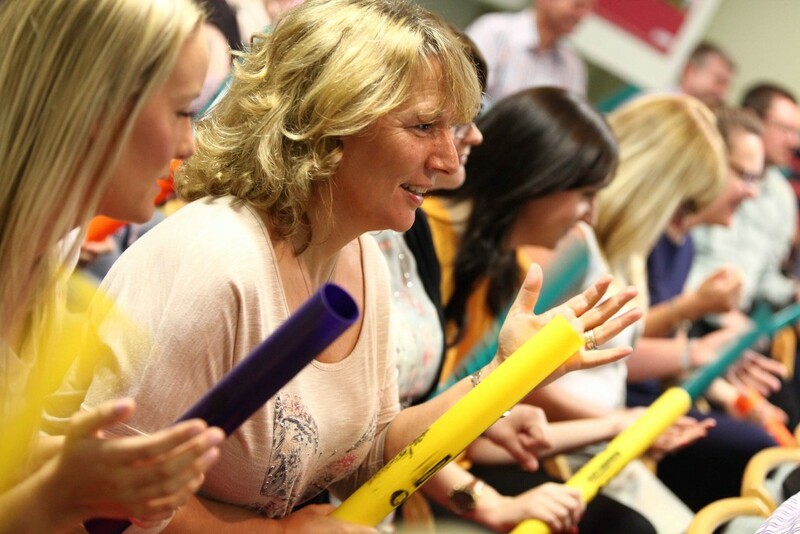 Boomwhackers is perfect for emphasising the importance of unity and working as a well-oiled team. Group Size: 10 – 5000 School Sports Day Perfect for? Large teams looking for a fun, energetic team building event that ensures workers hop, skip, run and jump out of their comfort zones without even realising it. Group Size: 25 - 200 Your Song Perfect for? Harmony. That’s the key behind this musical event – Your Song will get everyone singing from the same hymn sheet – with plenty of fun and laughter in-between. 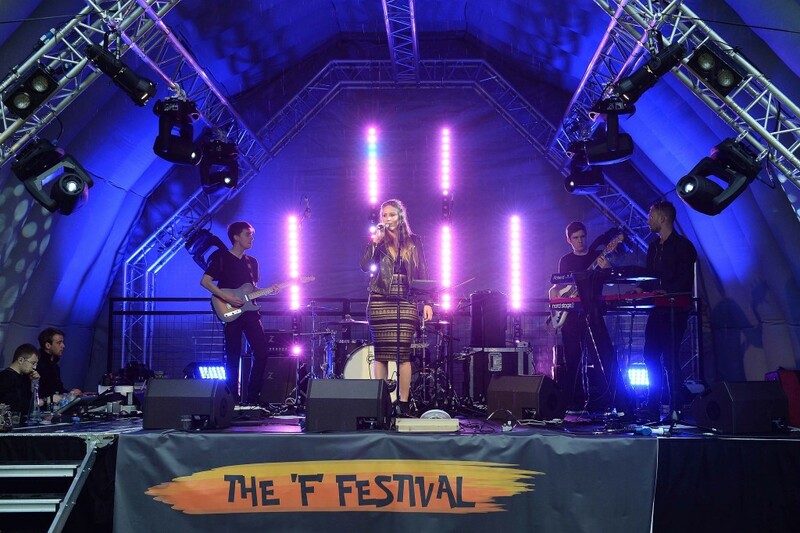 It can even create a song that encapsulates your business message or ethos. Group Size: 10 - 1000 Drumming Perfect for? 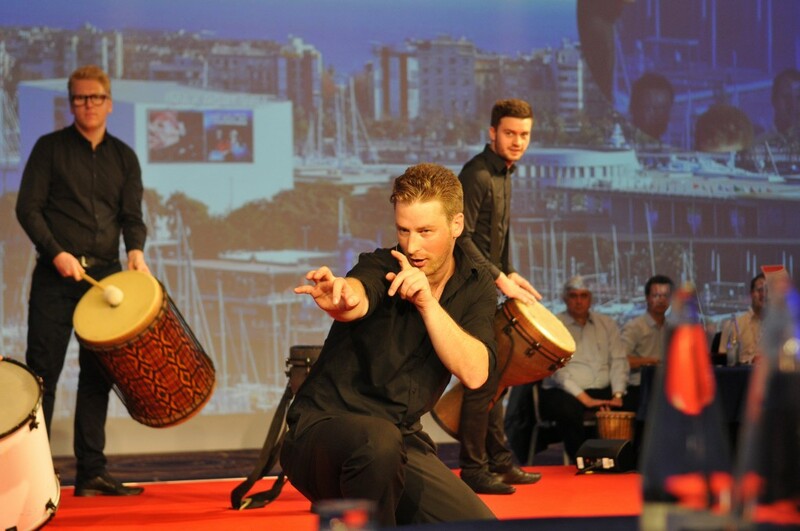 Teams that could do with a little energising and unifying, this drumming event guarantees a charged and happy team come the end of the day. Group Size: 10 - 5000Want even more?Use our team building event search feature to uncover and discover exactly what may be in store for your teams. Bespoke team building events. It’s what we do. And it’s what we’ve done for the last two decades. Need a team building event as suitable for newbie Nat, nineteen years old in national marketing, as it is for the big whig CEO whose making you feel just a little nervous about your event? You know where we are when you need us.